Los Angeles Dodgers relief pitcher Hong-Chih Kuo has been placed on disability leave indefinitely due to an anxiety disorder. Kuo has apparently been struggling with the “yips," a term used in sports to describe involuntary movements that impair athletes' ability to perform at their usual levels. It is believed to be caused by psychological or neurological factors or a combination of both. One form of the condition may stem from a type of focal dystonia, a neuromuscular malfunction that can be caused by repetitive use of a muscle group. In cases most commonly seen among athletes, stress and anxiety trigger the condition, which occurs intermittently and without warning. Loss of confidence and fear of recurrence result, further aggravating the problem. For many athletes, it is more difficult to overcome than physical injuries. Last year, at the peak of his career, Kuo set a Dodgers' record with a 1.2 earned-run average; with this season barely underway, he has given up an average 11.57 runs per game, a shocking discrepancy from last season. After a failing performance against the Pittsburgh Pirates on Monday, Kuo expressed his frustrations and insecurities to his trainer, Stan Conte. He was placed on disability leave shortly thereafter, with immediate plans to return to Los Angeles. High profile athletes are commonly under extreme pressure, and the expectation to perform can be overwhelming. Kuo's position as a relief pitcher expected to close tight games is inherently demanding and leaves no room for error. Kuo, 29, has been placed on disability in the past after four elbow operations and a similar case of the “yips" two years ago. Despite his medical challenges, he described that experience of losing control as his toughest challenge. After three months off, he persevered and returned to baseball by focusing his efforts on trying to enjoy the game rather than on trying to be the best. 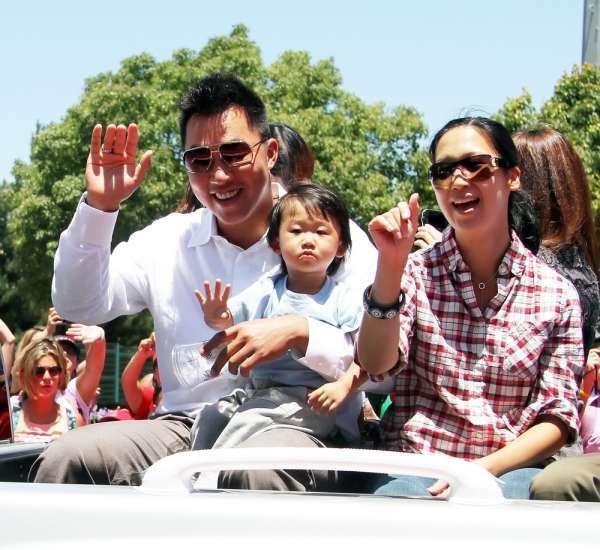 A left-handed reliever, Kuo subsequently had his best season ever, becoming the first Taiwanese player to make an All-Star team and making franchise history. Commonly referred to as “Steve Blass disease," after a player who was suddenly forced into an early retirement, the condition threatens an athlete's ability to recover and resume playing. Whether Kuo will be able to recover in time to finish this season or whether he will be able to return to Major League Baseball at all is unknown.